Mephitic Ooze gets +1/+0 for each artifact you control. 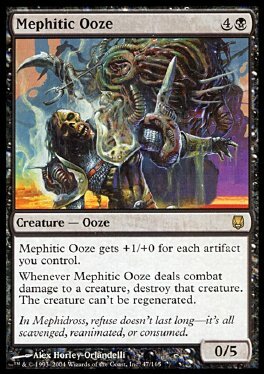 Whenever Mephitic Ooze deals combat damage to a creature, destroy that creature. The creature can't be regenerated.